Premium travel shoe trees are the perfect way to keep your s..
Shoe trees, you may not immediately think about it, but this is also an essential part of shoe maintenance. The use of shoe trees has an impact on the life of your shoes. 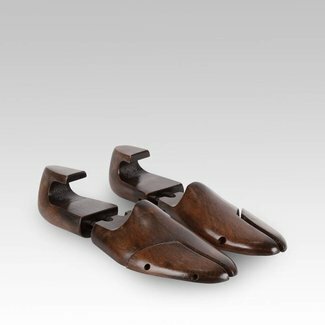 In our collection, you will find a beautiful range of shoe trees for men's shoes. Buying shoe trees is an absolute must if you want to keep your shoes in perfect condition. The use of shoe trees prevents creases and cracks in the leather. There are many different types of shoe trees available. The tensioner which has a spring system that completely fills the shoe (so also the heel) and keeps the leather of the shoe on a proper tension without stretching the shoe out of model. Here you can buy the best wooden shoe trees made of cedarwood or colour washed. Our shoe trees fill your shoe completely so that the leather is at optimal tension. The tensioner spring system is adjustable in length and the toe piece in width. The spring system of the toe piece can be adjusted (by means of a cross-head screw) if you want more or less tension. 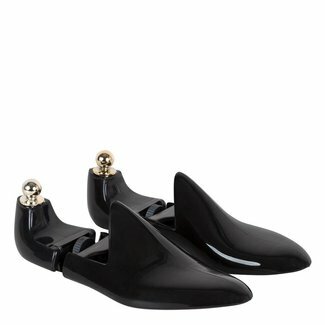 We advise you to place the shoe trees directly into your shoes after you have taken them off. The leather is then still warm and flexible, with the shoe stretcher the leather of your shoe stays in good shape. 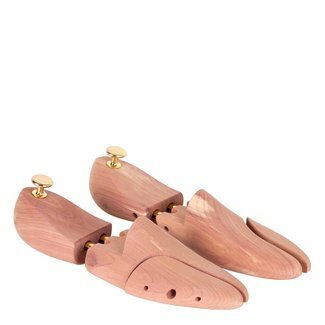 Cedarwood shoe trees that are offered in our webshop are made from untreated red cedar. The use of untreated cedarwood has a number of advantages for your shoes. This leaves a fresh pleasant scent behind and absorbs the moisture from your shoes. Furthermore, cedarwood also has an antibacterial effect. 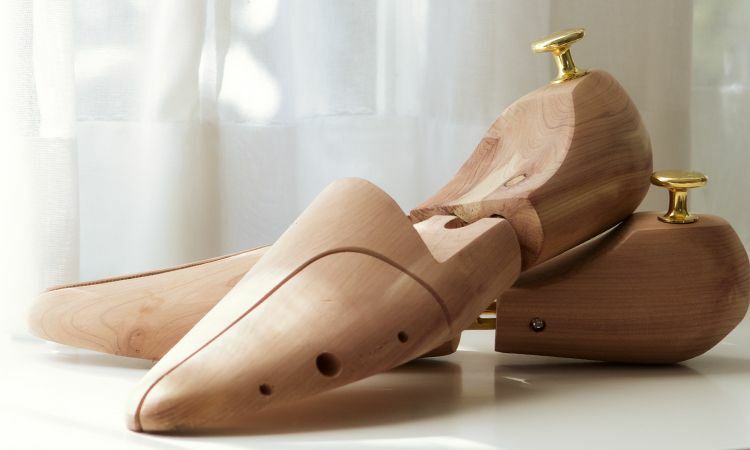 Have you already seen our cedarwood shoe trees offer? 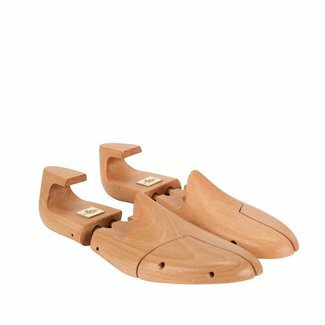 You can buy our luxury shoe trees made of cedarwood at a very attractive discount. The more you buy, the higher the discount. View the shoe trees offer here. If you are regularly on the road for work and prefer not to take wooden shoe trees in your suitcase or hand luggage, we also sell plastic travel shoe trees which are the ideal solution to this problem. The plastic shoe trees weigh only a fraction of the weight of wooden trees and keep your shoes neat and in shape during your journey. Would you prefer to keep your favorite shoes in new condition? In addition to regularly taking care of your shoes with shoe cream and water- and dirt-repellent spray, shoe trees are also part of good shoe care. Ordering your shoe trees online here is simple and easy!